Install Windows from USB. 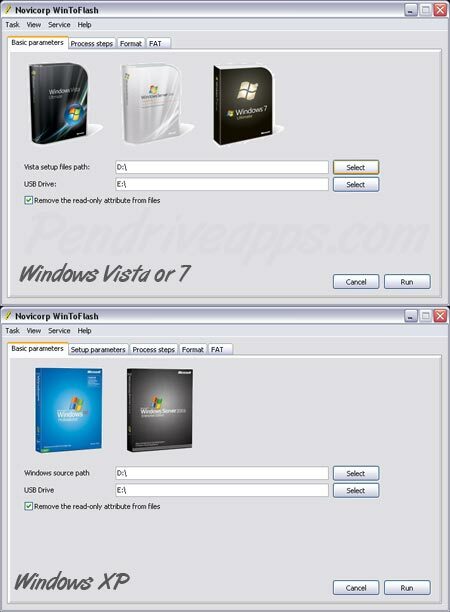 WinToFlash, created by Novicorp, is a tool that can be used to copy your existing Windows XP, 2003, 2008, WinPE, or Windows 7 CD/DVD Install Disk to a USB Flash Drive. Upon completion, you should be able to Install Windows XP, 2003, 2008, Vista, or 7 using a USB Flash Drive (Windows Live USB Installer). Very useful if you own a Netbook or Notebook PC that can boot from USB but does not have an optical drive. The first Image shows the option to Copy Windows 7 Install Disk to USB. The Second Image shows the option to Copy a Windows XP Install Disk to USB.